Mariners from Maine to New Jersey have been notified of updated nautical charts. Following the relighting of the Gay Head Light two weeks ago, mariners, the U.S. Coast Guard and the National Oceanic and Atmospheric Administration are updating their charts to account for the light’s relocation away from the eroding cliffs at the western tip of the Island. The change was noted last week in the Coast Guard’s weekly notice to mariners from Maine to New Jersey. In nautical terms, the lighthouse is now about 8.4 seconds east and .4 seconds south of its previous location. A temporary beacon that had been put up by the U.S. Coast Guard has been extinguished. The Coast Guard’s Aid to Navigation Team in Woods Hole has already updated its paper charts, whiting out the old location and placing a sticker where the lighthouse now stands, 129 feet farther from the cliff edge. NOAA’s Office of Coast Survey, which charts all U.S. waters, will issue an update online. 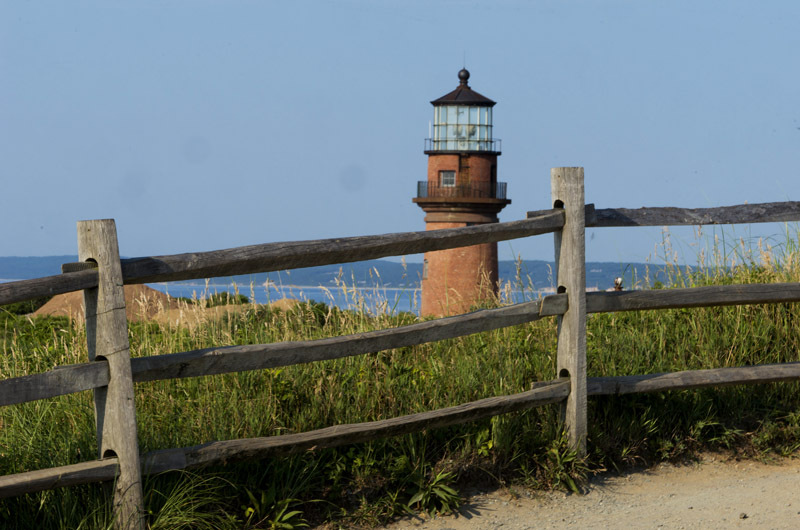 Since 1856, the Gay Head Light has watched over the western entrance to Vineyard Sound. Its alternating red-and-white light warns of the cliffs and boulder-strewn shore, along with Devil’s Bridge, which extends west from the tip of Aquinnah, and Sow and Pigs Reef, another dangerous ledge just south of Cuttyhunk. It replaced an earlier lighthouse that was built in 1799. NOAA updates its digital charts weekly, in response to critical changes such as a sunken ship or a storm-altered shoal. The Coast Guard notifies the agency of any changes, including relocated buoys and lights. Updated charts are immediately available to the public at charts.noaa.gov. Meghan McGovern, regional navigation manager for the Office of Coast Survey, said that relocated lighthouses typically do not require much more than a simple update. She expected the Gay Head Light’s new location to be updated by the end of the week. “Basically, if it’s a hazard to navigation we can do it very quickly,” she said. “It’s a critical beacon,” Chief Elijah Reynolds of the Woods Hole team said of the lighthouse. (Mr. Reynolds announced the light’s official return as an aid to navigation at a relighting ceremony on August 11.) Southwest winds often combine with eastward-moving tides at the entrance to Vineyard Sound, creating large waves. “It can make that area even more treacherous than it already is,” Mr. Reynolds said. But the new location itself will be hardly noticeable to mariners. In fact, the beacon is a foot higher than it was before. “So in theory it should be visible a little bit further than what’s advertised,” Mr. Reynolds said. The light is thought to reach up to 20 miles in all directions. In July, the NOAA survey vessel Ferdinand R. Hassler completed a two-month mission south of the Vineyard and around Aquinnah. 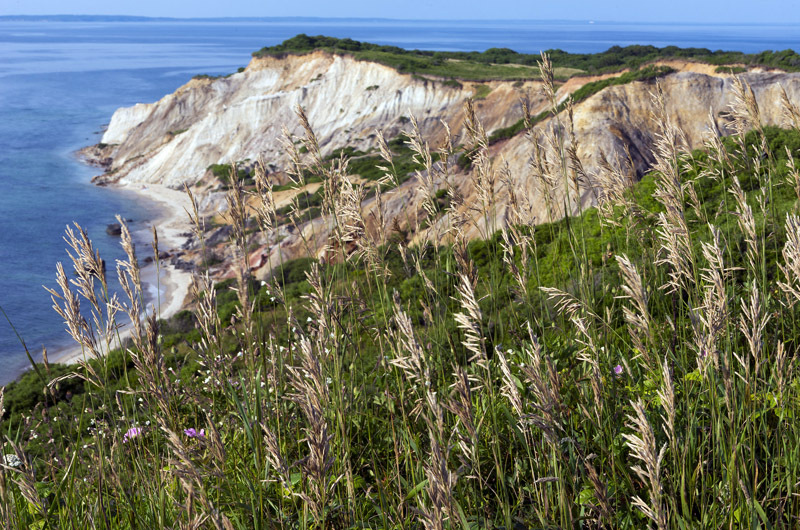 The waters just west of Aquinnah were last surveyed in the 1970s and 1980s, but farther out, as with most of the waters directly south of the Island, the last surveys were conducted before 1969. Some areas had not been surveyed since before 1900. “The technology obviously wasn’t as good as it is now,” Ms. McGovern said of the older surveys. Data from the Ferdinand R. Hassler will eventually be used to update all of the charts in the survey area. The mission revealed a number of uncharted boulders and some previously charted shipwrecks. Most of the known shipwrecks in the region that pose a navigational hazard are scattered around Nantucket Sound, Buzzards Bay and the Elizabeth Islands. Only five are documented in the waters directly off Aquinnah, which Mr. Reynolds attributes in part to the Gay Head Light. The beacon’s colors and signal — one rotation every 15 seconds — distinguish it from other navigational lights in the region. The light was restored earlier this month after 118 days of darkness, when the lighthouse was relocated. Geologists believe the new location, above a stable vein of clay extending from the cliffs, will be safe from erosion for at least 150 years.